A couple of days ago a member of the establishment told the truth. 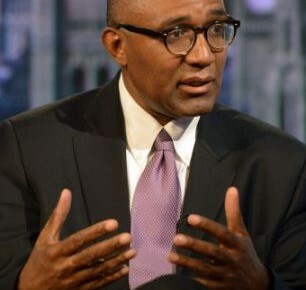 Trevor Phillips, the former chairman of the Equality and Human Rights Commission, told us that ‘Muslim communities are not like others in Britain and the country should accept they will never integrate’. This is an encouraging development, the more so because he happens to be black therefore it will be harder for the forces of idiocy to dismiss him as a racist. Not impossible, but harder. He is of course correct. Everyone knows that Muslim communities do not integrate but we are too polite to mention it. It is all too obvious that they form insular enclaves where, as Trevor Phillips says, “they behave in a different way, some of which we may not like”. (4:101) …the disbelievers are an open enemy to you. And then, apart from the stand offishness there is the supremacism. That’s a word you never hear in the public discourse but it is the most important of all in regard to Islam. No one gives a damn if their neighbour believes in flying donkeys. Nor do they care if he avoids them for fear of spiritual pollution or suchlike. The Plymouth Brethren were thought odd but no one felt threatened by them. If, on the other hand, your neighbour’s god tells him that it is the duty of his followers to spread his religion, by whatever means necessary, until it dominates all the others and the whole world, then you can hardly expect harmonious co-existence. We find it hard to appreciate that people really take their religion that seriously, the way we did 500 years ago and have forgotten about. It is certainly beyond David Cameron’s imagination. He is committed to the belief that Muslims can be integrated just as any other group can, after all we all want the same things don’t we? That is why he produces ever more pitiful proposals for encouraging Muslims to play nice. His latest plan is to teach Muslim mothers to speak English. That way their children will integrate and not become radicalised and drawn to extremism. I know you’re doing your best but, honestly, you’ve got everything back to front. Radicalisation is not something that you catch over the internet. All it takes is opening a Koran and seeing what Allah actually requires of his slaves. I was radicalised by reading the Koran myself, just in the opposite direction. Are you going to deradicalise me the way you plan to deradicalise those youngsters unfortunate enough to have been infected? And extremism is not extremism. What…? No, extremism means being at the extremes. Jihadis are not at the extremes of Islam. They are at its centre, faithfully following the murderous example of their warlord prophet. That is why we should give up calling them Islamic extremists and call them what they are, Islamic centrists. And no, we don’t all want the same things. Some people want only to bring the world under Islam, whatever the cost. Not all Muslims, for sure, just the most fanatical and ruthless and, yes, often the most devout (the rest are irrelevant just as the nice Germans were irrelevant in 1940). Have a word with Trevor. He will explain that ‘Muslims see the world differently from the rest of us’. He will tell you that Muslims are never going to integrate. Yes, they are NEVER going to integrate. Just suppose he managed to get that through to you and the scales fell from your eyes. What would that mean for your whole strategy on the massive problem which Islam presents (unlike Sikhism, Taoism, Rastafarianism etc)? Is that a cold sweat you’re coming out in Dave? OK, so he’s not going to change your mind but it is nevertheless heartening to hear a bit of truth coming from our cultural leaders. One truth has a way of encouraging others. Perhaps we can look forward to Trevor Phillips, or someone similarly placed, admitting that Islam is not a religion of peace, that ISIS is not a perversion of Islam, that Islamism is no more than a resurgent Islam and that the next atrocity will certainly have something to do with Islam. This entry was posted in Uncategorized and tagged al wala wal bara, integration, islamic supremacism, muslim integration, supremacism, trevor phillips on January 27, 2016 by ECAW's blog. Reblogged this on Welcome Illegal Migration blog.